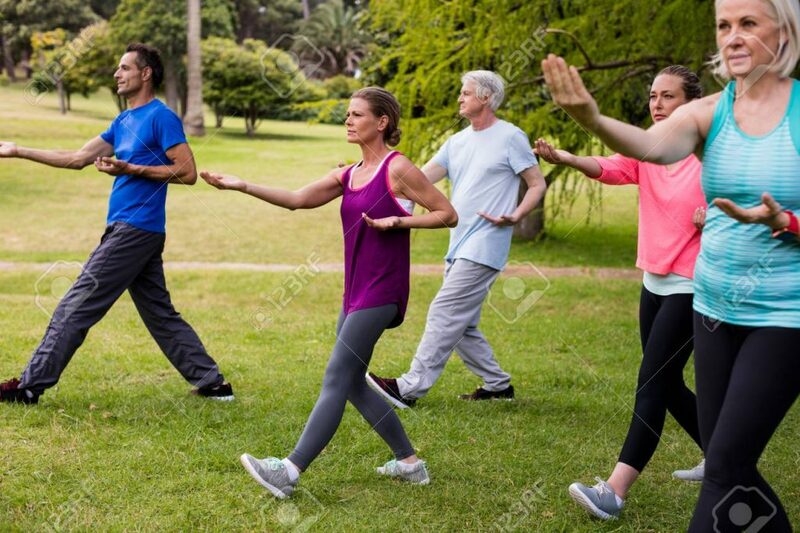 In Japan, the childbirth rate is dropping so much over this decade and this has been such a big social issue because there are not enough young people to support ever-growing number of elderly people in Japan. I don’t know what causes this but I know a lot of people adore their pet’s like their own children in Japan…maybe this is why?? Pets are better than kids! lol!! I am just joking!! Well, as a response to this trend, some major house builders are coming up with houses that have pets in mind!! For example, Asahi Kasei, one of the leading house builder in Japan came up with this house called Plus-Nyan house. 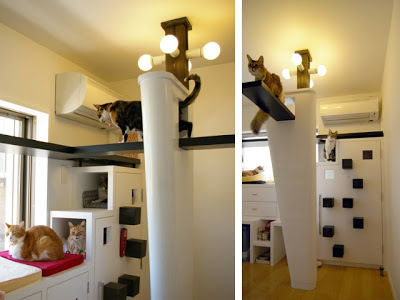 This is a dream house for every cat owner and their cats!! They researched what cat owner wants and reflect that into this beautiful house!! 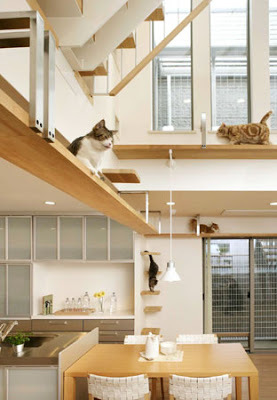 I know it is in Japanese so I will explain a few key features of this ultimate kitteh house!! 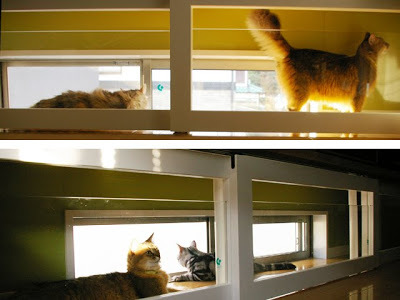 I am officially obsessed with those cat houses in Japan… many of you already know, I introduced ultimate cat house from Asahi Kasei before. But this house called “The Cats’ House” is even more extreme! 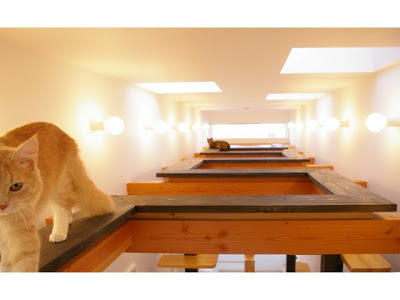 The owner of this house built this fully customized house for their 16 cats and 5 dogs!! The house is so interesting that even Animal Planet came to interview them in Japan! 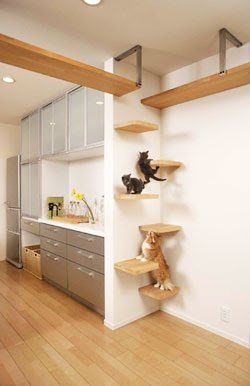 I especially enjoyed their photo and videos on their site…it is really any cat lover’s dream house!! I wish Goma can have a house like this someday!! 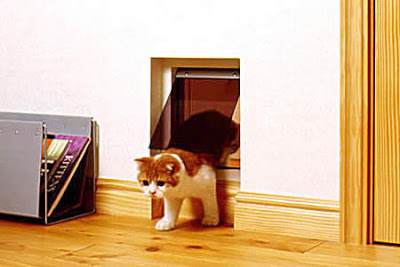 Cat door in every door in the house! Extra cat room hidden under the stairs. Cat walk beams that built in open air space. Cat steps that goes up to the cat walk. Cat house under the bathroom sink. 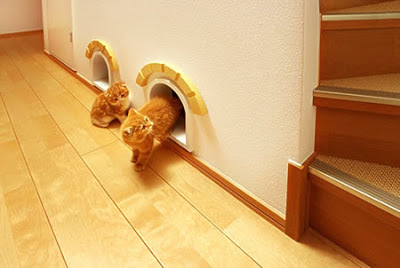 This is the secret tunnel for cats. This is cat only room! The biggest scratching post I have ever seen!! That’s it! I am moving back to Japan now! Are you ready Goma? lol. I hope this post inspires cats lover all over the states!! Be sure to check out the cats’ house for more extreme pictures and videos!! Baizai cat lovers. If you own a cat as a pet, there is a need to make sure that she feels the love in your home. Pets play a big part in controlling our emotions especially when we’re down in spirit. As a result, you want to feel as close as possible with your cat. And colors that complement easily with your home décor among many others. The heat-reflecting technologies work by reflecting the heat generated by the cat’s body to circulate the bed. As a result, they maintain warmth and comfort for the cat. The making is also non-slippery, and therefore you can place the bed on all floors without fear of hurting your pet. It also consists of lightweight polyester materials. As a result, you can use this bed for transportation of your pets from one location to another. 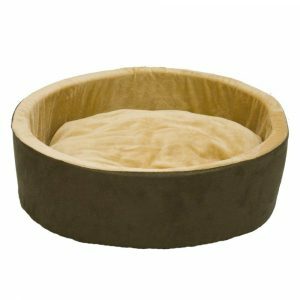 The bed is suitable for pets that love to burrow from its 19.5” diameter and the plush side features. You can also consider buying the bed in any of its three colors that are the red cream, brown cream or navy cream. These colors will easily complement with other colors available in your home. The bed is also machine washable and as a result, comes with the ease of maintenance. Machine washable properties among other fantastic characteristics. The bed will work in a good way for the carriers, crates among other categories of home pets. 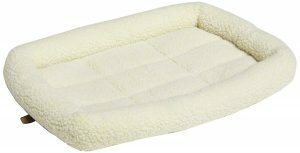 From its characteristics, the bed making consists of a soft fleece cover that includes a comfortable polyester cushion. These traits work in unity to give your cat the comfort and warmth it desires. It also involves a comfortable rim in which the pets can use to rest their heads. The bed is available in a size that can comfortably carry a cat that is as long as 24”. The bed dimensions are 22” x 15” x 2.5”. And the fact that the bed is machine washable makes the bed even more comfortable to maintain. 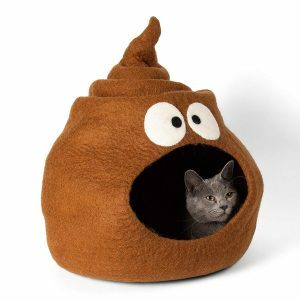 You can always purchase this cat bed from Amazon stores from wherever you’re. A one-year product warranty among many of its fantastic features. 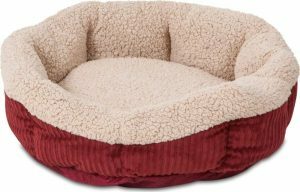 The bed offers additional comfort for the cat from its soft foam walls. 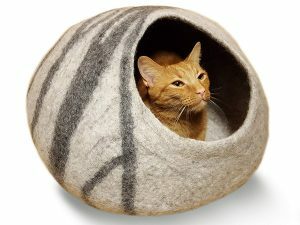 It means that your cat can comfortably sleep in this bed without any disturbances. It’s also an electric bed that you control thermostatically. It responds automatically to changes in temperature. It maintains normal temperatures and makes sure that the cat is at comfort. The bed also features a removable cover that is machine washable. Therefore the cleaning process is simple to carry out. 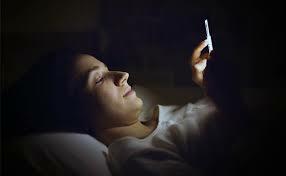 The low wattage property also makes the bed be energy saving. The good thing with this bed is the fact that it passes all the tests of MET labs. As a result, the bed exceeds the USA safety on electrical. 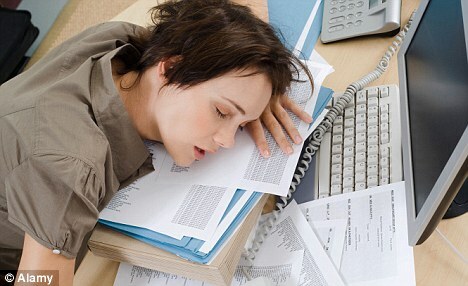 The brand does also come with a one year warranty, and all failing beds can get returned and or ask for a replacement. 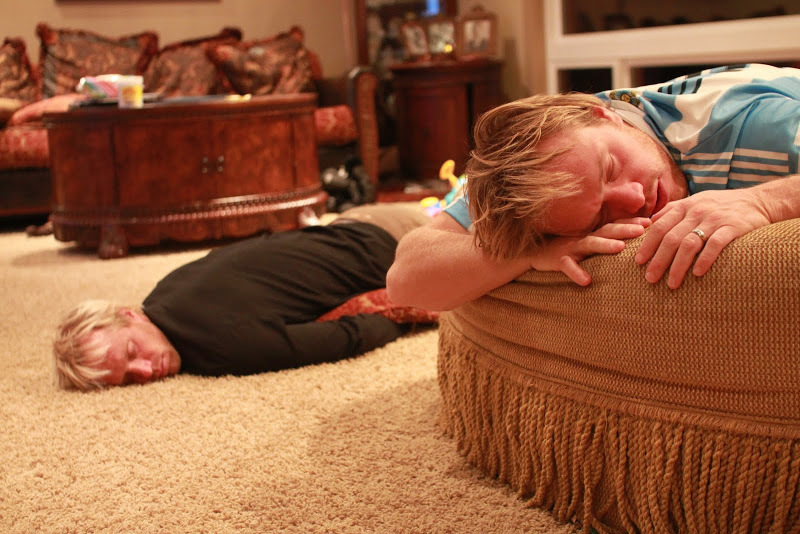 You can purchase the mattress from Amazon stores online at any time. It’s easy to clean and also features anti-bacterial properties. Everything that comes as a handmade property features a lot of love and works well as a gift. And for this reason, this bed will work as a perfect bed towards increasing the comfort of your cat. The makeup consists of 100% Merino Wool, with no chemicals used during the making process. As a result, it works as a safe bed for your cat, your family and the world at large. 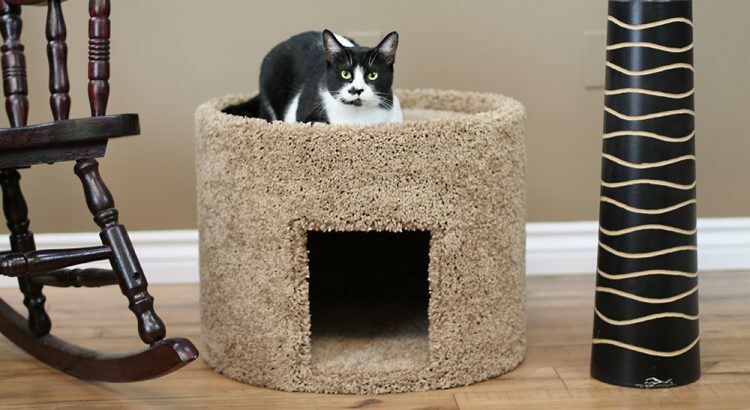 In this way, it works well as an ideal place for cats to rest, take a nap, relax, and sleep inside or at the top or plays around. The bed does also fit cats of all sizes as a result of its spacious hideout. And with its modern design, the bed is cozy, warm and very durable. It, therefore, works as a lovely bed for your pet. It also comes with an additional touch to increase the beauty of your home. The Antibacterial effects also play an essential role in keeping the pet, you and your family out of infections. You can also consider this bed as a result of its easy to clean procedures. It also does dry at a better rate in comparison to other mattresses. And its making features the anti-bacterial properties. From these characteristics, you can tell that selecting this bed will be a perfect choice that you can consider. The plush pad adds the comfort of your cat when it takes a nap. It also features a retractable pop-up awning that shields the cat from direct sunlight. As a result, the cat can find comfort at any time of the day. Note that, the materials used in its construction are easy to wash. The cushion can get removed and is machine washable. Such characteristics speed up the cleaning process. 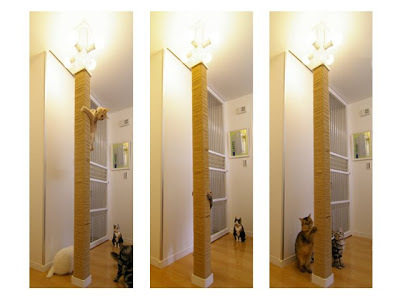 The design does also work in a perfect way for playful cats. And with the large size of 18” x 18” x17”, you can use this bed to fit cats at all sizes and ages. Consider getting yours today from Amazon stores and see if works for you. From these characteristics, you have a reason to purchase the bed as a perfect match for your big cats. 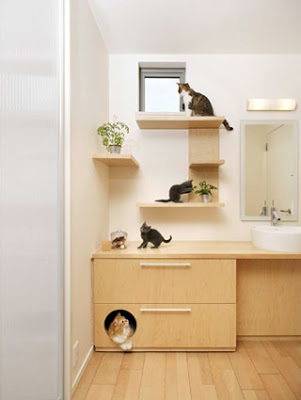 Its spacious room offers the cats space in plenty. It, therefore, can fit cats of all sizes. And since the bed is handcrafted, it features in its making much of love. The hand making process also offers you a guarantee that the cat is safe and sound. The good thing with this is the fact that it consists of natural New Zealand wool. As a result, the making of the bed comes as chemical free that means your cat is always safe and out of diseases. The making also consists of felted wool that makes the bed super soft. 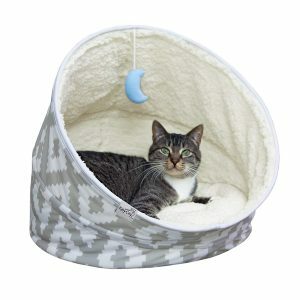 The good thing about this ultra-durable woolen bed is the fact that it keeps your cat warm at all seasons. Such a sack is what every pet owner wants to have for his or her cat. And to make this brand even more flexible, it’s worth noting that you can use the bed as a mat. And also with a color that complements easily with your home. Making your cat feel loved is the best way to increase the bond between the two of you. 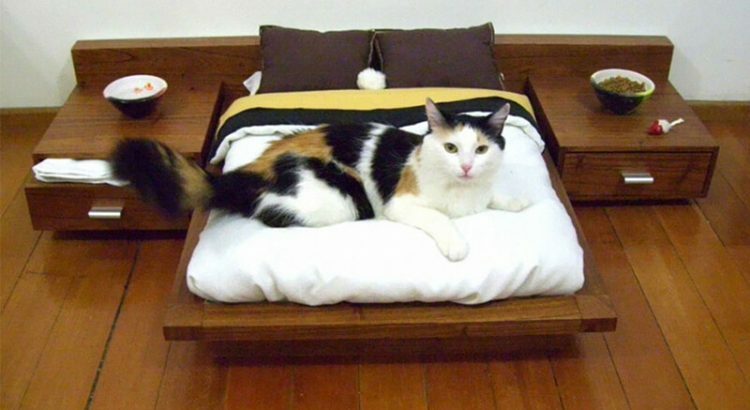 Consider the above-discussed options as the best cat beds you can find in the market. In doing this, you’ll enjoy the happiness of your cat’s comfort.